I am the Assistant Director for RUPA’s Community Service committee. We are responsible for many things but famously known for our Scarlet Day of Service event, the largest community service event in the state of New Jersey. We send over 1,000 Rutgers students into the New Jersey community serving over 50 community partners. This year I had the amazing gift of being behind the whole operation. I don’t think it was a coincidence either that my birthday and Scarlet Day of Service fell on the same day this year. As you’d assume planning a large event like this takes months of preparation. It was so rewarding seeing a line of Rutgers students at 9am excited to give back to the community. 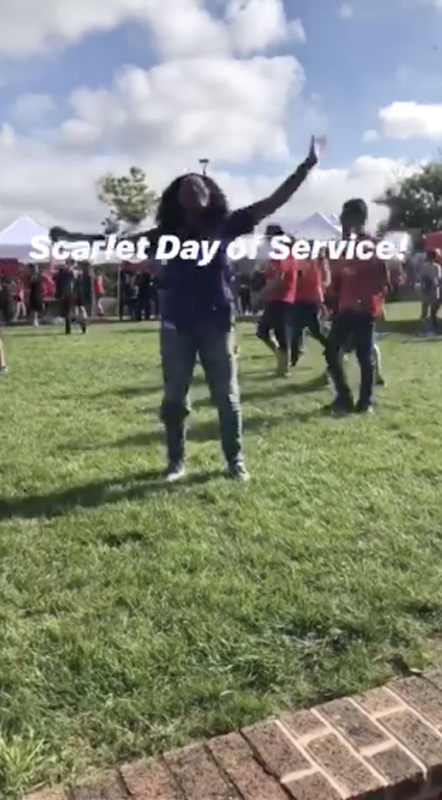 Since it was my first Scarlet Day of Service I didn’t know what to expect but it was such a great turn out. I am so proud of the Rutgers community and my RUPA family and can’t wait for the next Scarlet Day of Service! an equal opportunity, affirmative action institution. All rights reserved.